This week, we recap, review, and analyze Mobile Suit Gundam episode 31 and 32 (30 and 31 in the US), "A Decoy in Space" ("ザンジバル,追撃!") and "Breakthrough" ("強行突破作戦"), discuss our first impressions, and provide commentary and research on: Itano Ichiro, possible inspirations for the Zakrello mobile armor (including psychological warfare, Japan's involvement in the Korean War, and "Tiger Tanks"! ), and the physics of why Amuro blacks out when the Gundam grabs hold of the Bigro. - Itano's wikipedia page (in Japanese). - Interviews with Itano: from a Q&A at Animazement 2012, an article that originally appeared in SFX Total Anime #3, 2010, and an article that originally appeared in NEO magazine #69, 2010. - About psychological warfare (psyware) in the Korean War. - Sources on Japanese involvement in the Korean War (especially note Korean-descended people in Japan who volunteered to fight for the South Korean army, or sabotaged the war effort to help North Korea). While Japan's involvement is often characterized as purely economic (including acting as a rear-base), there was significant direct participation. - Sources on the 1st China-America Provisional Tank Group in WW2. - Iraj's explanation (with calculations!) of the physics behind Amuro blacking out in that fight with the Bigro. Mobile Suit Breakdown wouldn't exist without the support of our fans and Patrons! You can join our Patreon to support the podcast and enjoy bonus episodes, extra out-takes, behind-the-scenes photo and video, MSB gear, and much more! The intro music is WASP by Misha Dioxin, and the outro is Long Way Home by Spinning Ratio, both licensed under Creative Commons CC BY 4.0 license. Both have been edited for length. Mobile Suit Breakdown provides critical commentary and is protected by the Fair Use clause of the United States Copyright law. All Gundam content is copyright and/or trademark of Sunrise Inc., Bandai, or its original creator. Mobile Suit Breakdown is in no way affiliated with or endorsed by Sunrise Inc. or Bandai or any of its subsidiaries, employees, or associates and makes no claim to own Gundam or any of the copyrights or trademarks related to it. 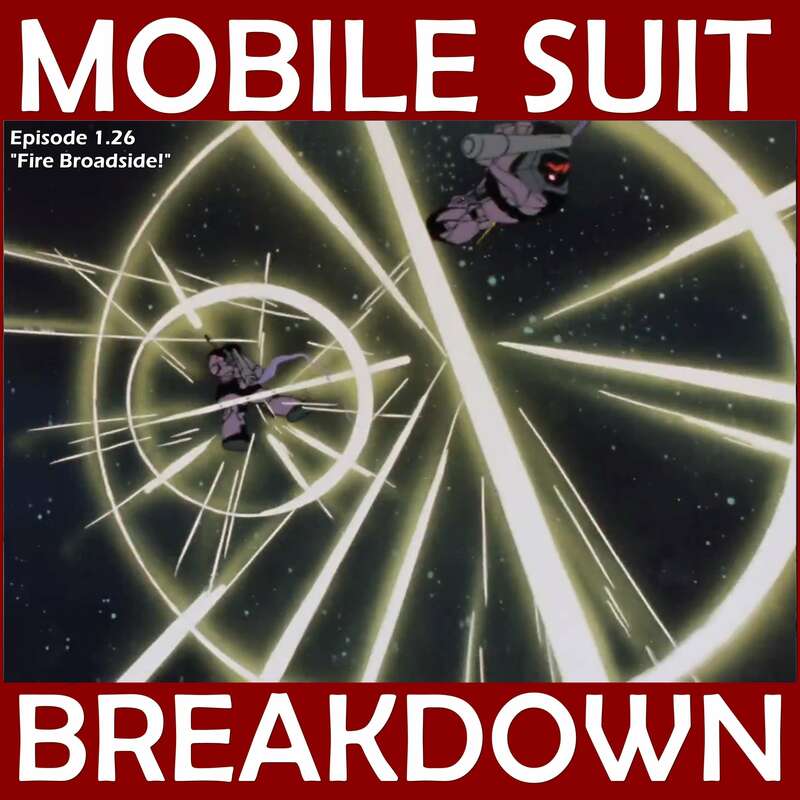 Find out more on the Mobile Suit Breakdown: the Gundam Anime Podcast website.